What are your personal goals for the Year of the Tiger? Are you looking to energize your lackluster career this year? In many parts of the world, people will be celebrating the Lunar New Year (some may refer to it as Chinese New Year). This year, the celebration will be on February 14, yes, on Valentine’s Day itself. In some of these cultures, many people like to check their fortunes in accordance to the zodiac year believing that certain zodiac signs will do better than others in certain years. Personally, I take a more pragmatic approach. My suggestion to you, if your goals include doing better at work, you can emulate the finer qualities of the tiger. 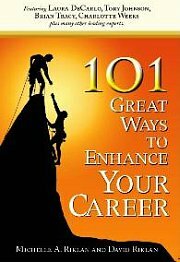 If you can do that you will automatically energize your career for 2010. So what are some of the tiger qualities you can use in helping you energize your career? The tiger is a very patient animal. It waits for the perfect timing before making a move. In your case, it means having the patience to see your work through. Perfect timing comes when you complete a project on time. It doesn’t mean being lazy, waiting for things to happen and then calling it - waiting for perfect timing. Be patient and take deliberate actions. These actions must contribute to your career objectives. Do not waste your energy on things that do not help you meet your goals. For example, do not indulge in gossiping and procrastination. Be focused in your endeavor. Ever seen a tiger hunt in your favorite documentary channel? Noticed how focused the tiger is when he starts chasing for its prey? That’s how focused you should be when you pursue your personal goals. Do not be distracted just because you have a weak discipline. In fact, especially if you feel you have a weak discipline, all the more you should add this quality into your goal setting worksheet for the year. Determine your goals for the year. What are they? Is it a pay raise? Is it a promotion? Or is it to increase and better some of the skills you are weak in? Regardless, make sure you define the things you want to achieve, and then focus on it. I covered this briefly earlier. Once you focus on your personal goals; take deliberate actions in order to achieve it. Every action must contribute to you achieving your goals. The tiger does not waste unnecessary energy in its pursuit of its prey. Every move is calculated and planned even when it seems so instinctual. You should be like that too. Have a plan on how you plan to achieve your personal goals and how you can energize your career. Start building a plan if you do not have one. Now! Take action. Nothing happens until you act upon your plans. Dreams come true when we act upon them. Goals are achieved when we put words into actions. Your personal goals are within reach if you take deliberate actions. The tiger is a very determined animal. Once it sets its sights on a prey you can bet it will go all out to get it. Being determined is a very important quality in order for you to see your plans through. Nothing comes easy and when faced with challenges, you will need hardened determination to overcome it. Be strong emotionally and physically too. Learn to control your emotions; the tiger keeps its cool when pursuing the toughest prey. It knows letting emotions control him will only mean distraction from the bigger objective. You should be like this too in pursuing your goals. You can make the Year of the Tiger a great year for you. Emulate the finer qualities of the tiger in your personal goals and you will see your career energized! 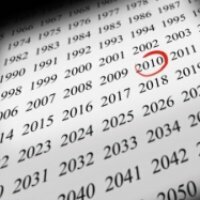 What are personal goals for 2010? Energize the Year of the Tiger with new career goals.